Click on the Calendar page to find out where Zafira will be next! 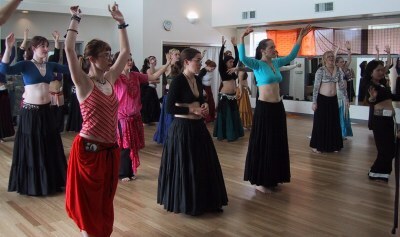 Would you like Zafira to teach a workshop in your area? Let's talk! Students learn in a fun and suppportive atmosphere. other Zafira members drift through the crowd to give individual one-on-one attention. Workshop attendees pose for a class shot with Zafira. 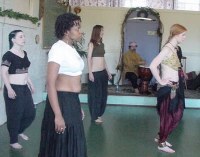 World fusion dance workshop with appox 60 attendees. to have your pictures featured on this page.